This was our overall favorite property during our vacation throughout the Ionian islands. The hostess is a gem of a person and truly helpful in every way. We were traveling with a four year old and arrived at 6:30 am. She let us check in early and had the refrigerator stocked for us and our daughter. She even got coloring books and crayons for her!! 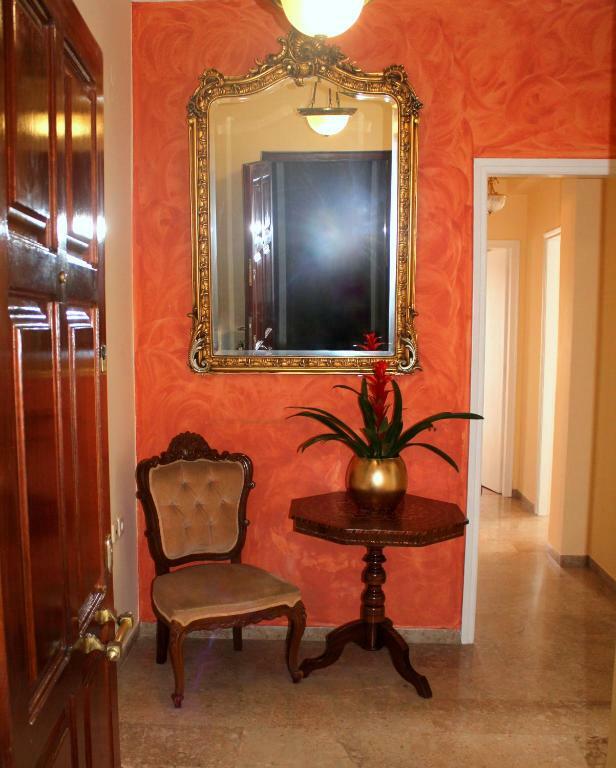 The apartment is so stunning, with perfect views of the sunsets and the seas, with a wonderful breeze throughout. It is also very clean and in an amazing location. We would vacation in Corfu again just to stay here!! Great location and fabulous view. Large bedroom is a corner room so views in 2 directions. Great sunsets visible from most windows as the sun descends lighting up the sea. The apartment is perfectly named. Owner was very helpful and recommended some great restaurants . All of old town is in easy walking distance. 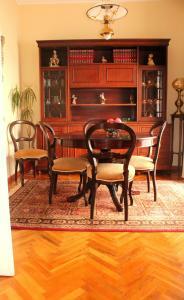 Friendly host, cosy apartment handily located for Corfu Old Town. Comfortable and the best location. Greetings bottle of wine and fruits were pleasant surprise!!! The position was excellent - walking distance to the old Corfu Town markets and it felt like you were on a ship with the water just below the apartment. The apartment had 3 balconies and shutters on all balcony doors that completely blocked the light for sleeping. The road directly beneath the apartment was very handy and there appeared to be no traffic noise. The washing machine was wonderful. The cleaning lady came on the 2nd of our 4 days at the apartment which was great. A well furnished and generous sized ace to stay for 4 days. Katrin was extremely helpful with recommendations. Parking was easy and the location was perfect. A stunning apartment! The view, the host, the apartment or in other words, everything! Katrin the host was charming, helpful, contactable and thoughtful. I have travelled the world on this holiday staying in apartments and hers was definitely the best and she was by far the host that thought of everything a traveller needed. The special touches that were left around the apartment were greatly appreciated. It was more a home than an apartment. 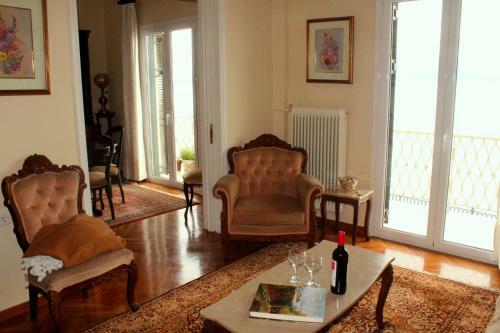 Lock in a great price for Sea & Fortress View Corfu Town Apartment – rated 9 by recent guests! Set close the heart of the cosmopolitan Corfu, this air-conditioned apartment enjoys magnificent sea views from its furnished balcony.Free WiFi is offered. Sea & Fortress View Corfu Town Apartment comes with a fully equipped kitchen with an oven. 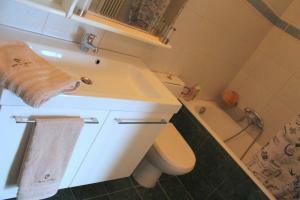 The private bathroom is stocked with a bath and hairdryer. The comfortable seating area offers a flat-screen TV with satellite channels. 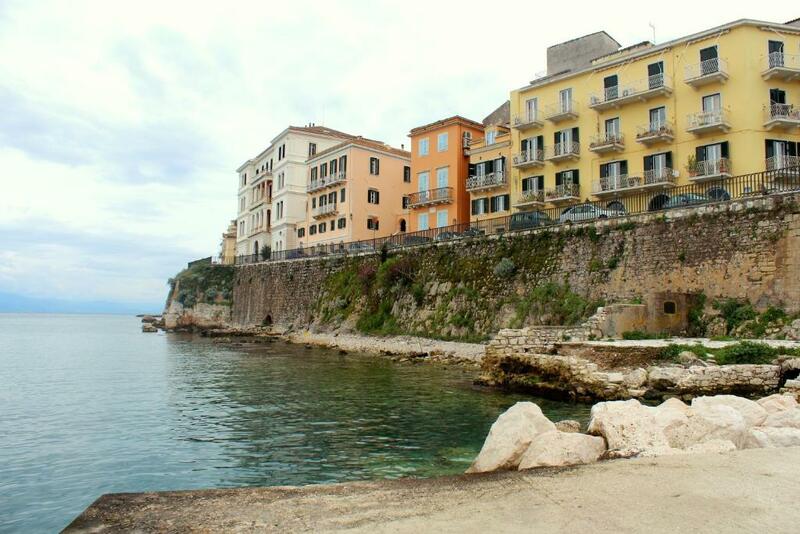 The center of Corfu features an array of lively restaurants and bars.The scenic Venetian Walls are just 500 feet away. The Port of Corfu lies within just 0.6 mi of the property. Corfu Airport is located within approximately 2.2 mi. 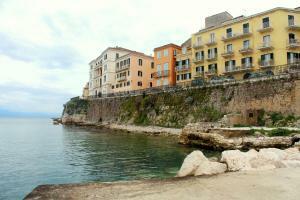 When would you like to stay at Sea & Fortress View Corfu Town Apartment? This apartment features a sea view, stovetop and microwave. 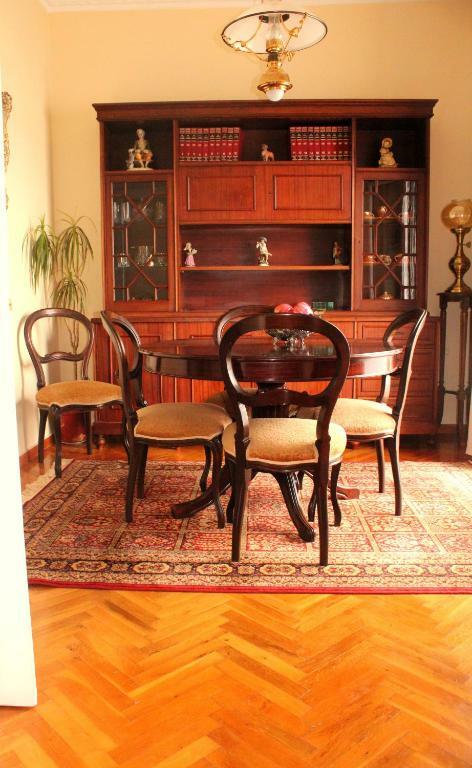 It is a spacious apartment of 85m2 on the first floor of a building that has an elevator. 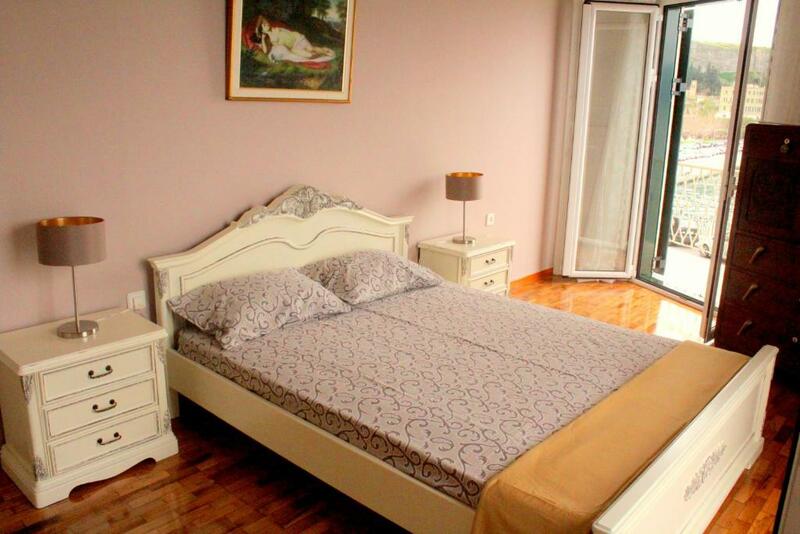 It consists of 2 bedrooms (one with 1 double bed and one with 2 single beds), living room, dining room, fully equipped kitchen and private bathroom. All areas of the apartment lead onto 3 private balconies overlooking the sea and the New Fortress. 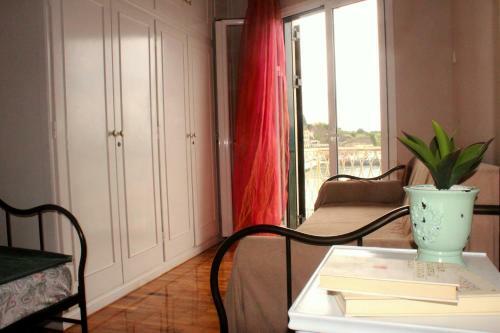 Recently renovated, fitted with parquet floor, all air-conditioned rooms, aluminum windows and double glazing for total sound isolation from outside noise and equipped with a flat TV screen and internet. 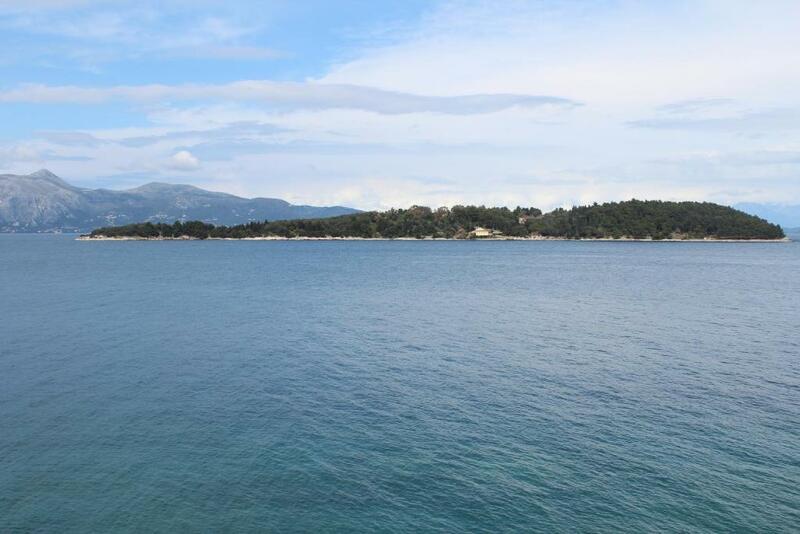 Thanks to its privileged location it offers panoramic views from all rooms and it is an ideal starting point for exploring the city of Corfu, since it is within walking distance from all the attractions like Forts, Liston, Palace , museums etc. I am available for any enquiries and tips. 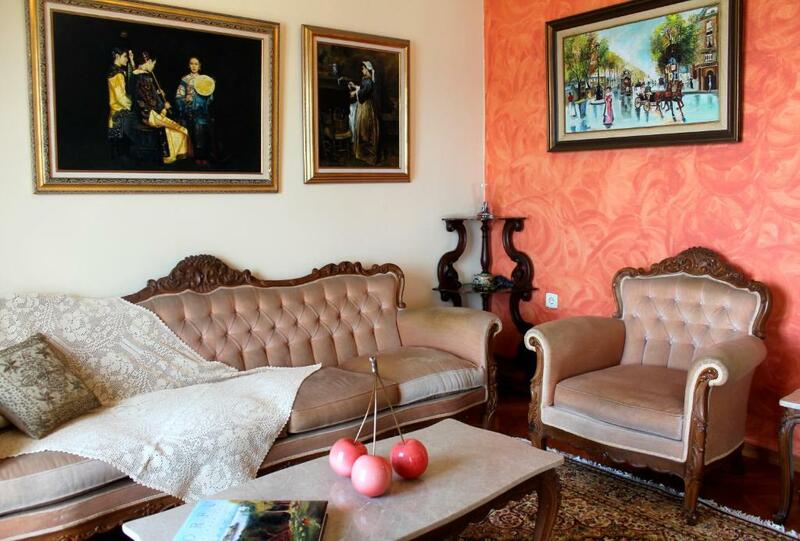 There are plenty cafes, restaurants and tavernas nearby and a mini-market offering delivery services.The apartment is within walking distance from all the attractions like Forts, Liston, Palace , museums etc. At a distance of 150m there is a taxi camp and one of the largest car parking of the city in case you rent a car . The only convenient mean of transport from and to the airport is taxi. Available transport from and to the airport on request with extra charge. House Rules Sea & Fortress View Corfu Town Apartment takes special requests – add in the next step! Please inform Sea & Fortress View Corfu Town Apartment of your expected arrival time in advance. You can use the Special Requests box when booking, or contact the property directly using the contact details in your confirmation. Unfortunately an inconvenient problem with toilet cistern occurred late one night (continuous extremely noisy flush without stopping until we turned stopcock off); prompt visit by host and plumber next day which to have fixed the problem, only for it to re-occur in the evening. Ended up using a bucket of water to flush! The bathroom and the beds were very hard. Well... the beds were not good. The 2 single beds were not long enough for tall people and the main bed was a double with a dip in the middle- we took turns sleeping on the lounge for space and our backs. No- one tells you about the "no toilet paper" to be flushed down the loo!! !...anywhere in Greece apparently. Putting all toilet paper in the rubbish bin...not what we expected at all. Off putting.